We have the facilities to handle your group and we are right off I-90 but away from any highway noise. 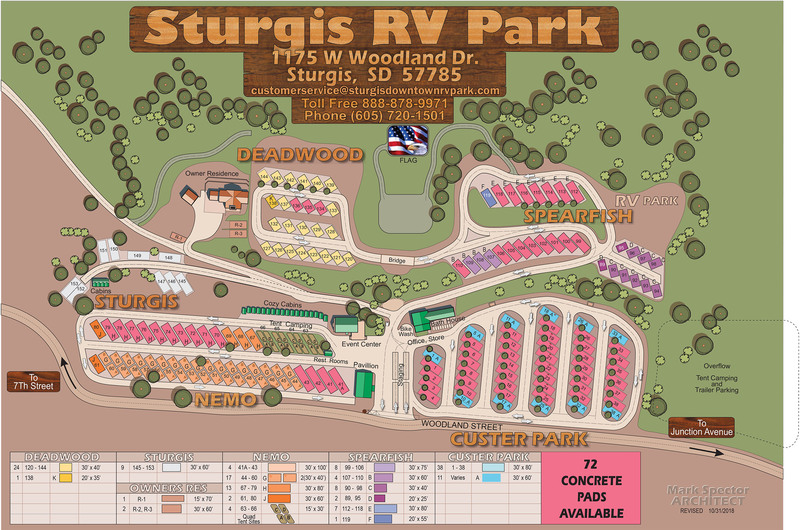 After all, we are the best kept secret in Sturgis! 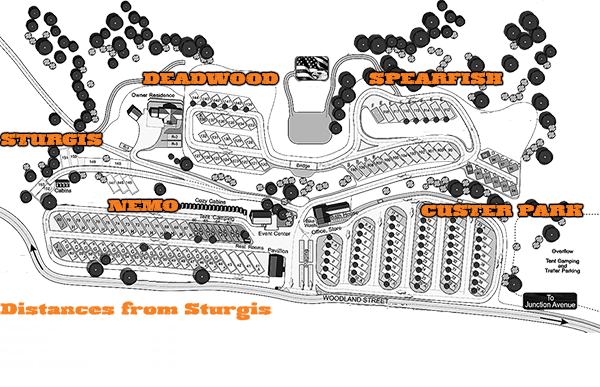 Our park has over 150 sites with full hook-ups, 70 concrete pads and immaculate air conditioned restrooms and laundry. Our Rally Center can seat 100+ and comes with a stainless steel, state-of-the-art kitchen, a stage and bar. The Party Deck, with an outdoor grill, can seat up to 75. And the Pavilion is perfect for gatherings with picnic tables. Call and we will walk you through the planning stage and help in anyway we can. It takes a lot of work and coordination during a rally but we love being involved and helping.